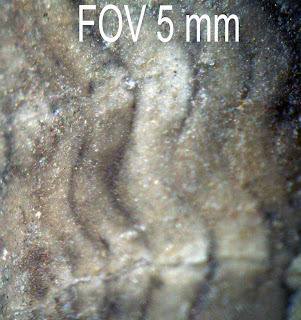 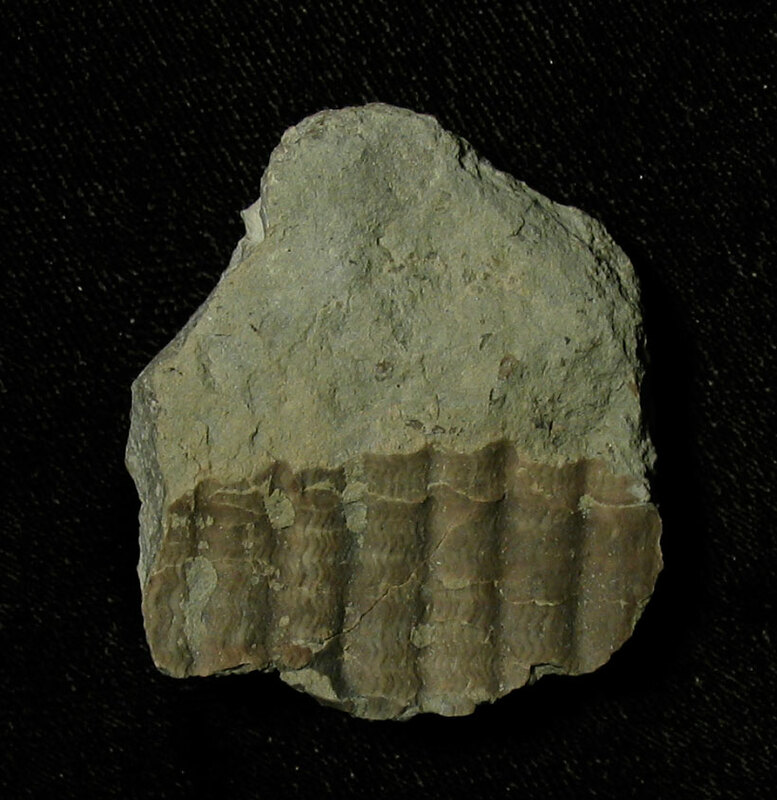 Dawsonoceras cephalopod found in the Waldron Shale of Clark County, Indiana. 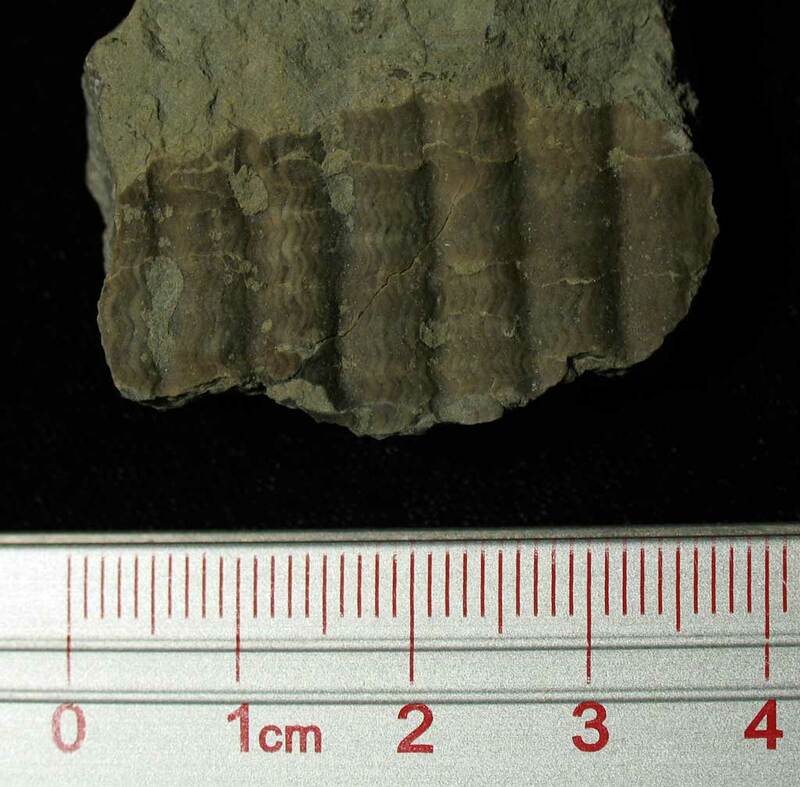 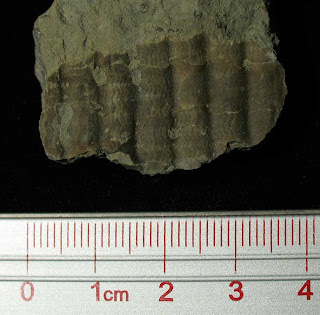 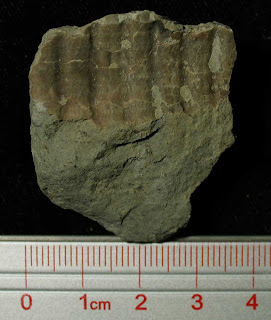 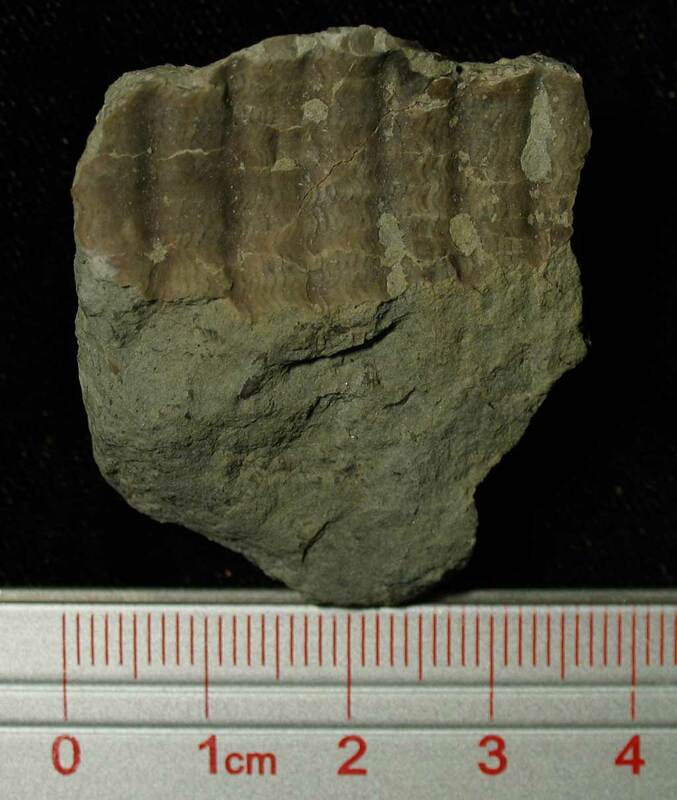 Creature existed in the Middle Silurian Period. It has sinusoidal growth lines which were magnified under the microscope 23 times.